This beautiful gold crystal specimen is composed of amazing gold crystals interlaced together. What beautiful color and crystal formation! Look at all the individual gold crystals on this beauty. It would make a great addition to your collection. 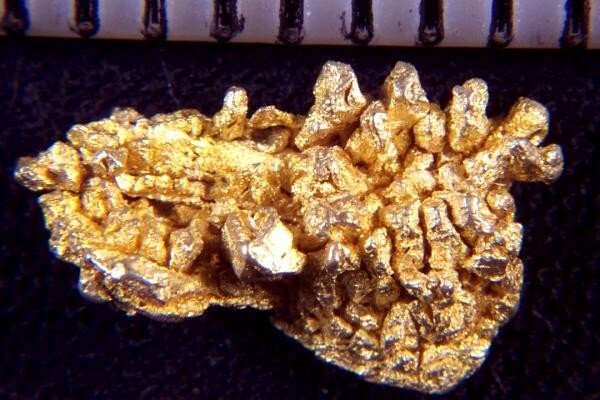 The size of this amazing natural gold nugget is just under 1/2" (12 mm) long, weighs 11.6 Grains (0.75 Gram), and has really beautiful color. 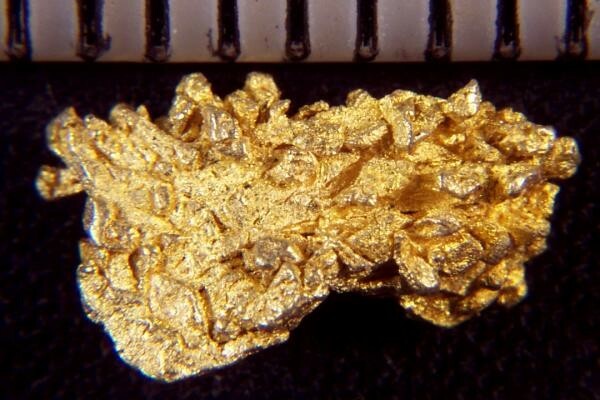 It is another amazing gold specimen from the Round Mountain Mine in Nevada.